MIAMI (AP) — Patricia and Jeff Rodgers figured they did everything right to get rich beyond their wildest dreams selling Herbalife health and personal care products. They attended all of the “Circle of Success” events, brought in new recruits, met their quotas on buying Herbalife goods to sell and even set up a storefront shop. But they didn’t get rich. Instead, Patricia Rodgers estimates the couple lost over $100,000, including about $20,000 spent on attending Herbalife events. Now, the couple and others are suing the multi-level marketing company that sells its products through a network of distributors who recruit more distributors. The potential class-action case could involve more than 100,000 plaintiffs and might mean as much as $1 billion in damages. “Plaintiffs’ failure to specify how they were misled by these alleged misrepresentations is fatal” to many key claims, the lawyers wrote. To become a distributor, a person must be recruited by an existing distributor, according to the company’s website. The new recruit also must purchase a “Herbalife Nutrition International Business Pack” explaining how the business works and how to become a sponsor. The new distributor buys Herbalife products at a discount and sells them, often part-time, in hopes making a profit. In 2016, the company settled a Federal Trade Commission case for $200 million. It centered on Herbalife’s business model being based on recruitment of distributors rather than actual sales of its products, such as protein shakes, vitamins and skin care items. One year earlier, another lawsuit by Herbalife distributors ended in a $17.5 million settlement. In the FTC case, the agency said in a statement that “only a small minority of distributors have made anything near what the company promises” through promotional materials showing how they lived in expensive homes, drove luxury cars and took exotic vacations. “A large majority of distributors made little or no money and a substantial percentage lost money,” the FTC said. A common company refrain was: “If you go to all of the events, you qualify for everything — you will get rich,” according to the lawsuit. Another was: “These crucial events provide you with the skills you need to take it to the next level,” court documents show. Herbalife’s website says it has about 8,300 employees worldwide and about 2.3 million distributors. China, North America and the Asia-Pacific region account for nearly two-thirds of Herbalife sales. Herbalife attorneys contend that many of the claims in the Miami court case are covered by the 2015 settlement with distributors that also focused on purported misrepresentations by the company about the pathway to wealth. That settlement, however, involved distributors who either couldn’t sell the products for at least the cost of their purchase or wanted to return products after the company’s one-year return policy. If the case isn’t dismissed or settled, Herbalife wants it transferred to a California federal court, which it claims is a requirement when a person signs up to become a distributor. In the Miami case, the plaintiffs claim their lawsuit isn’t about the distributor agreements but about the “Circle of Success” events, so that requirement does not apply. U.S. District Judge Marcia Cooke in Miami is weighing all these motions, with trial set for September 2019 if the case isn’t resolved before then. A key hearing is set for Wednesday on pretrial motions. 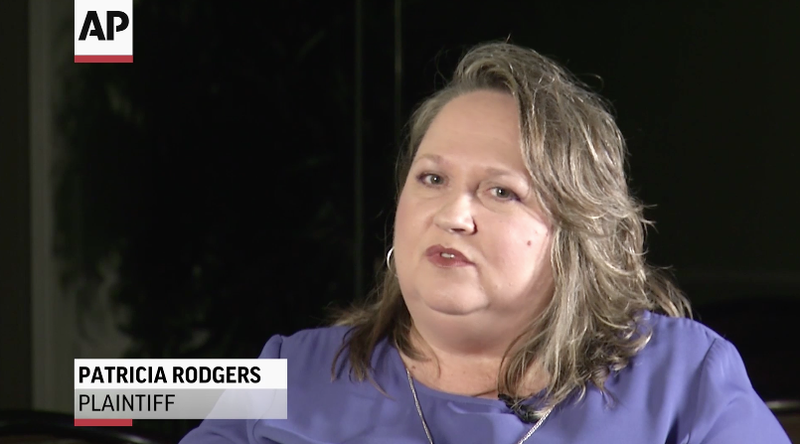 Rodgers, the former Florida Herbalife distributor who’s suing, said she’d like to recover some of her money but also hopes others don’t get fooled as she thinks she was.